We all use umbrellas, stockings, socks, toothbrushes in our day to day lives. Most of us have also come across the term ‘nylon’ at some point or other. But have you ever stopped to consider what is nylon? How can one material be both plastic-like as in bristles and pliable as in a pair of socks? Nylon is an umbrella term for synthetic materials that can be processed into different shapes and textures to be put to various uses. Nylon is a plastic with super-long, heavy molecules built up of short, continually repeating sections of atoms. The polymers can be mixed with various substances to achieve different variations in properties, which explain why this material has such a varied use. What is Nylon’s origin and history? The American company DuPont introduced Nylon in the 1930s, when they began experimenting to find an alternative to silk. 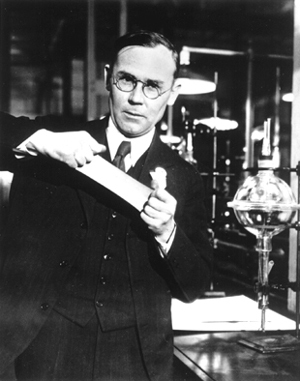 The invention of nylon spanned a nine-year period, under the guidance of American chemist, Dr Wallace Carothers. In 1930, Carothers and his team created two polymers: neoprene, a synthetic rubber greatly used during World War II, and the other was a white elastic but strong paste that would later become nylon. The first example of nylon (Nylon 6,6) was produced by Carothers on February 28, 1935, containing the desired properties of elasticity and strength. The production of nylon required interdepartmental collaboration at DuPont, which led to the creation of jobs, pulled people out of the Great Depression and furthered the advancement of chemical engineering.The first nylon plant was set up at Seaford, Delaware and commercial production began in December 1939. DuPont had excellent marketing strategies which created a buzz around the fibre, even before it was available for purchase. It was heralded as being tougher than steel. On October 24, 1939, 4000 pairs of nylon stockings were sold within hours. However, all this excitement around nylon also caused problems. It created an expectation that nylon would be better than silk; that it would be strong, long-lasting and never run. Not to mention, a section of the public had to be contended with, that did not trust synthetic fabrics. Things became worse when a news story claimed that one method of producing nylon involved using cadaverine, a chemical extracted from corpses, though scientists tried to reassure the public that cadaverine could also be extracted by heating coal. 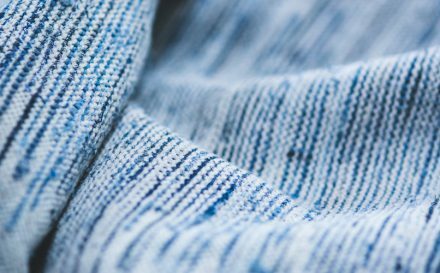 As the years passed, the production of the fabric increased to up to 1300 tons during 1940. However, on February 11, 1942, nylon production was geared towards use in the armed forces and most manufactured nylon was used to make parachutes and tents for the war. Civilian demands for stockings and lingerie were catered to after the war ended. However, the stockings were found to be fragile, causing ‘runs’; the textiles lacked absorbency under moist temperatures and the fabric felt itchy, clung to the skin and sometimes sparked due to static electricity. This was fixed by blending nylon with other materials such as cotton, polyester and spandex. 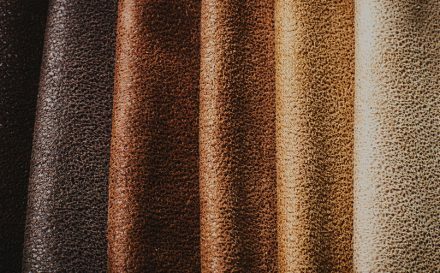 The blends had the desirable properties of nylon such as elasticity, strength and ability to be dyed, while being low on cost. Nylon is made by reacting together two large molecules, diamine acid and dicarboxylic acid, which fuse together to make an even larger molecule and give off water. The large polymer formed in this case is the most common type of nylon called nylon-6,6. A giant sheet or ribbon of nylon is produced that is shredded into chips, which becomes the raw material for plastic products. Nylon textiles are made from fibres of nylon, by melting nylon chips and running them through a wheel with several tiny holes in it. Fibres of different length and thickness are made by using holes of different size and drawing them out at different speeds. What is Nylon used for? One of the common uses of nylon is to make women’s stockings and hosiery. 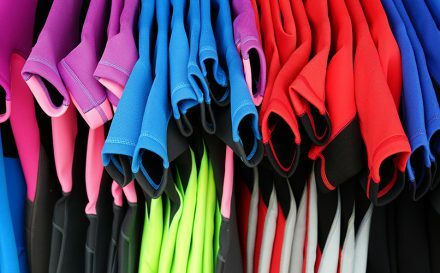 The nylon blends are used for making swimwear, track pants, windbreakers etc. Other uses include parachutes, umbrellas, luggage, netting for veils etc. 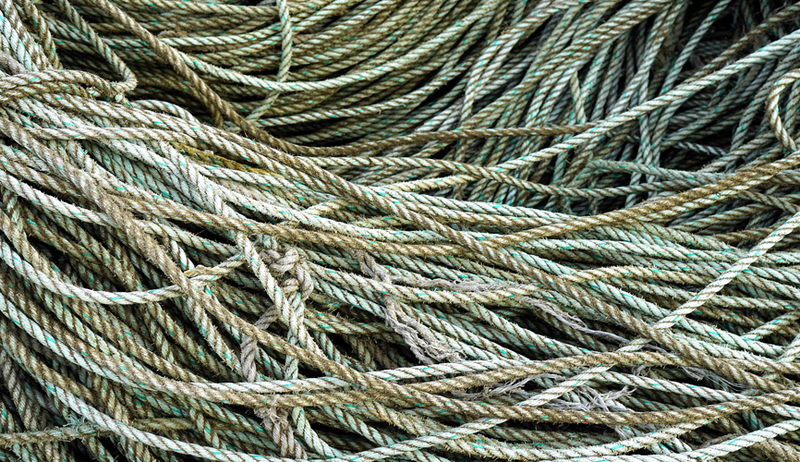 Because of its resistance to heat and cold, strong and lightweight nature, it’s also used to make ropes, such as the ones used in boats. 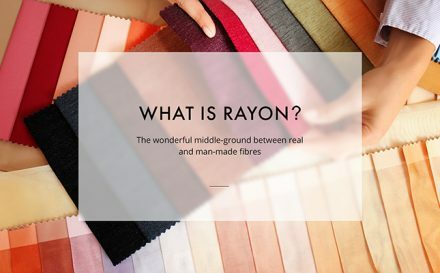 Now that you know all about Nylon, why not get a bit more familiar with its texture, finish and print quality? Explore this and several other fabrics in your swatch pack and get creative for your next project. Click on the banner below to see our range of swatch packs and pick the best one for your needs.